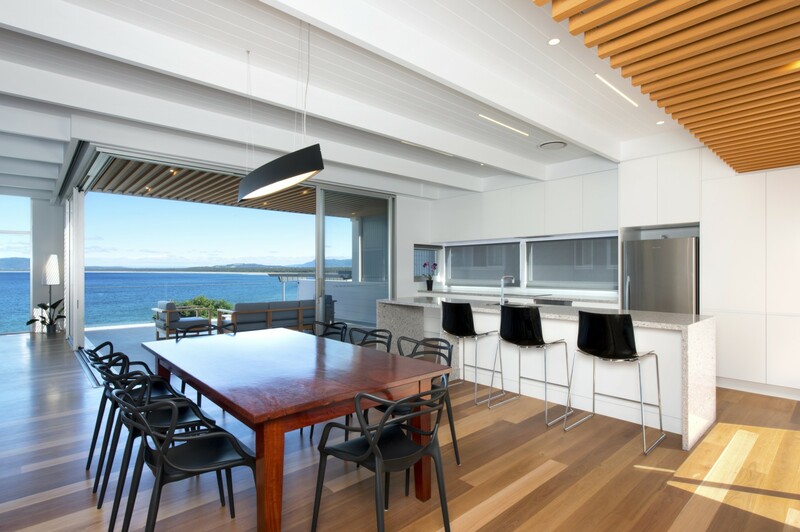 The Elevate range of windows and doors were used for this project on Seven Mile Beach. These were ideal for this job because of their heavy duty rollers, hinges and hardware. This means they’re the perfect choice for this exposed location. 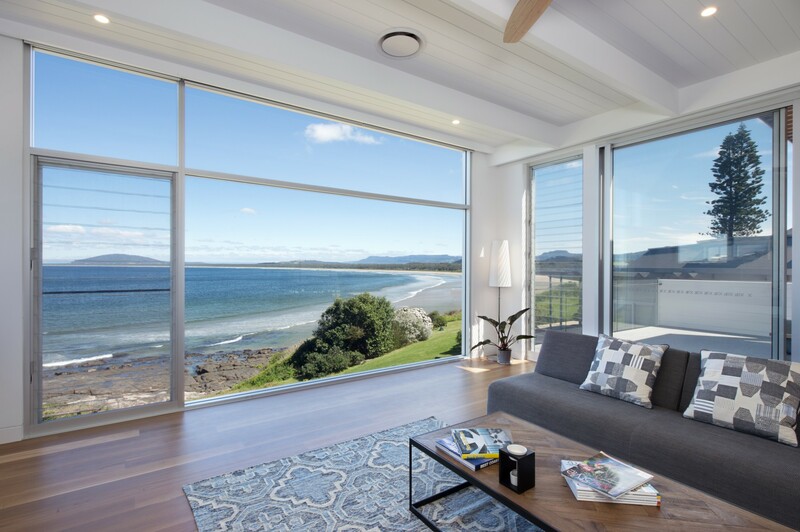 These commercial products were the perfect suit for this project as they could be made in larger panels for example the 3m by 4m fixed panel as you walk in the door, which acts as a picture frame, allowing us to properly capture the stunning views. 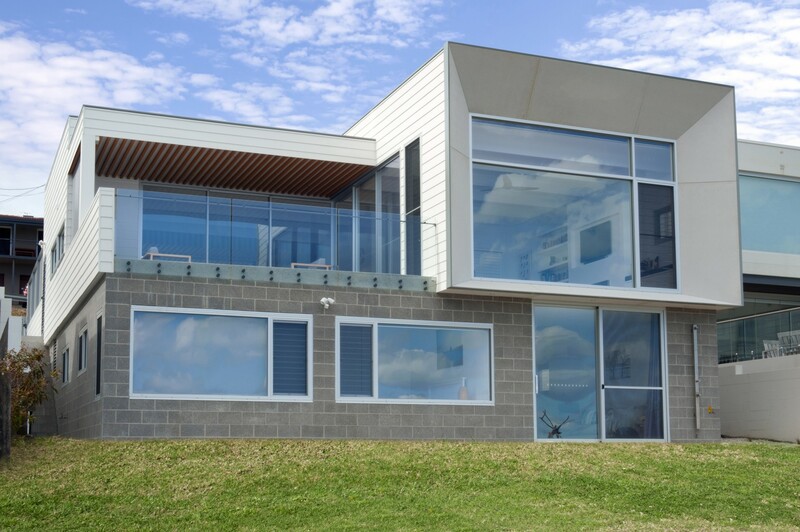 Viridian Low E glass was used throughout the home, helping to create an energy efficient environment and give them the desired thermal result. 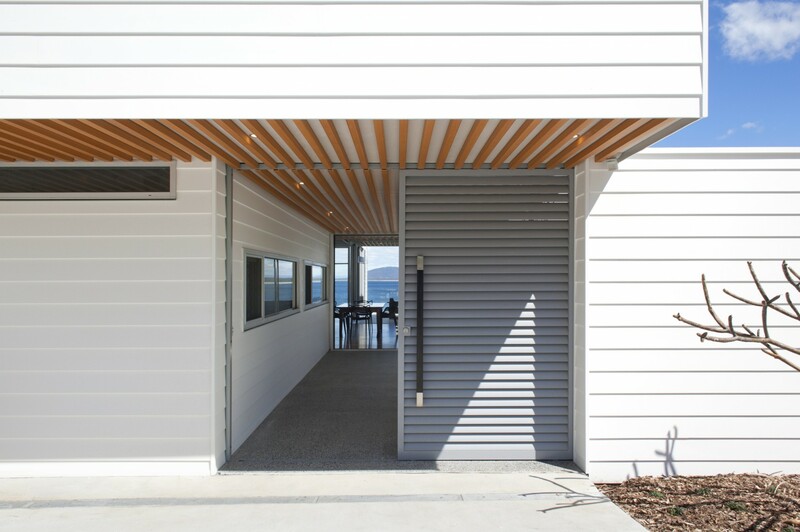 ICON stainless steel hardware was used on the large stacking doors for its corrosion resistance, durability and modern aesthetic. 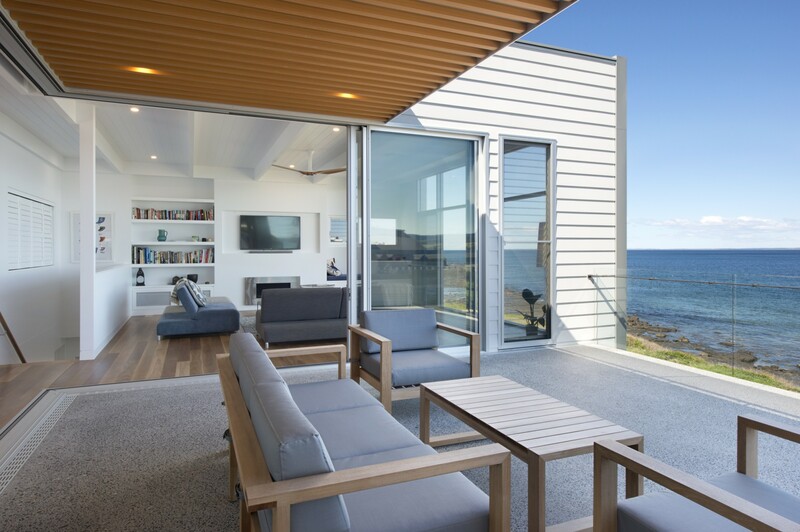 A stunning feature in this house is the large corner stacking sliding door that gives the client flexibility on how the internal living areas connect with the external. 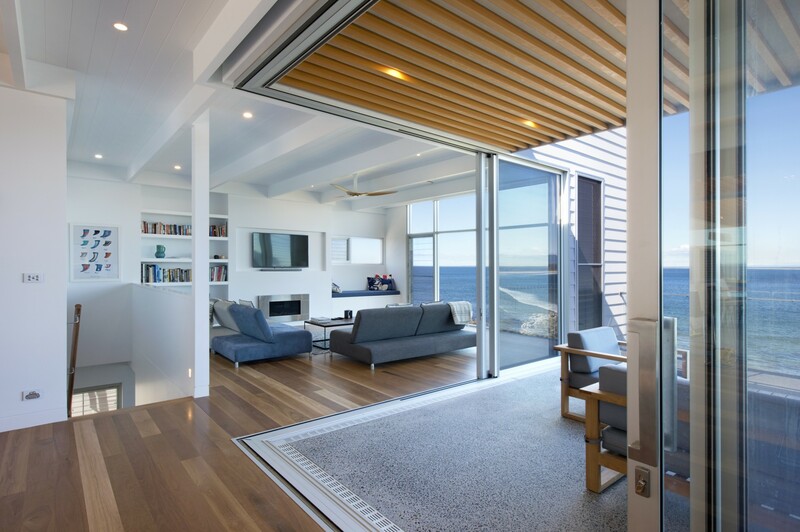 This door has been recessed down to eliminate obstructions in the open plan area, creating a beautiful indoor, outdoor living space. A secondary drainage system has been used to aid the water performance of the door which is important with flush thresholds. 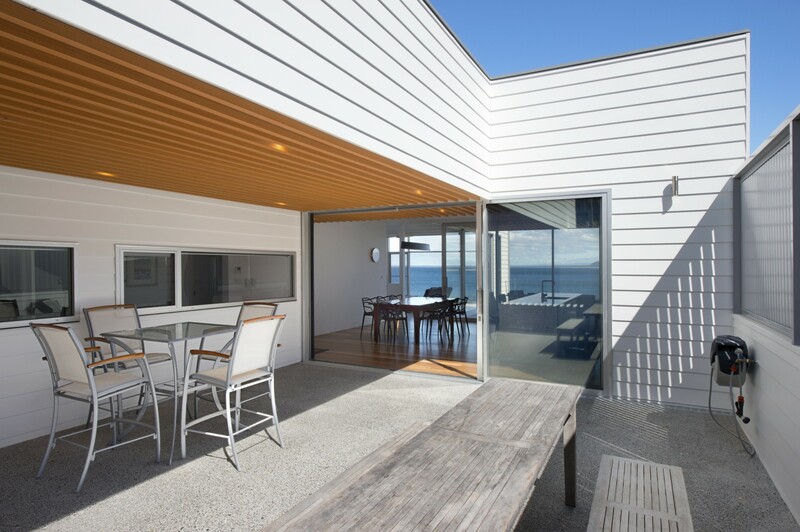 The well designed use of louvres throughout the home allows for cross ventilation which helps create a natural flow of air throughout the home.